Super rare opportunity knocks in a ridiculously handy location in Davis Sq, Somerville! Don't miss this phenomenal 2 family home with 10 rooms including 4-6 beds JUST 3.5 BLOCKS (5 min walk) from one of the hippest & hottest areas in the entire country, Davis Sq! Whether you are looking for a property to convert to condos or a single family, a fantastic rental investment or to own your own home to off-set the cost w/ rental income, this property is for you! 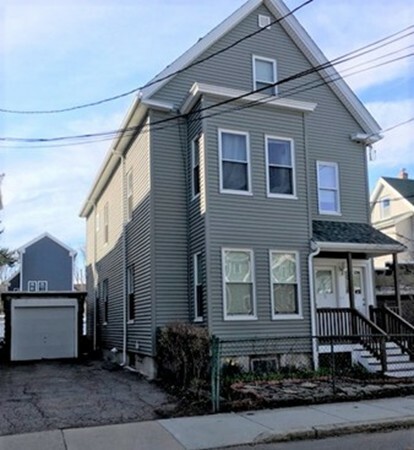 Located in one of Somervilles most desirable neighborhoods & on a relatively quiet side street, this 2,380 sq foot home has a 4 room 1st floor unit w/ 1-2 beds & a 2 level upper unit w/ 6 rooms including 3-4 beds. Enjoy the unusual garage & driveway space, front porch & lovely yard space in front & rear w/ wonderful perennials & perfect for entertaining. Inside enjoy large modern updated kitchens, handy pantry spaces, wood floors, bay windows & attractive woodwork. Real "Walkers Paradise" w/ walkscore of 97! Offers due Tues 12! Slight water in basement when sump pump failed. room a bedroom to total 6 beds.